34 Southcross Trail, Fairport, NY.| MLS# R1159365 | Largest Real Estate Sales and Property Management Company in The Finger Lakes and WNY. 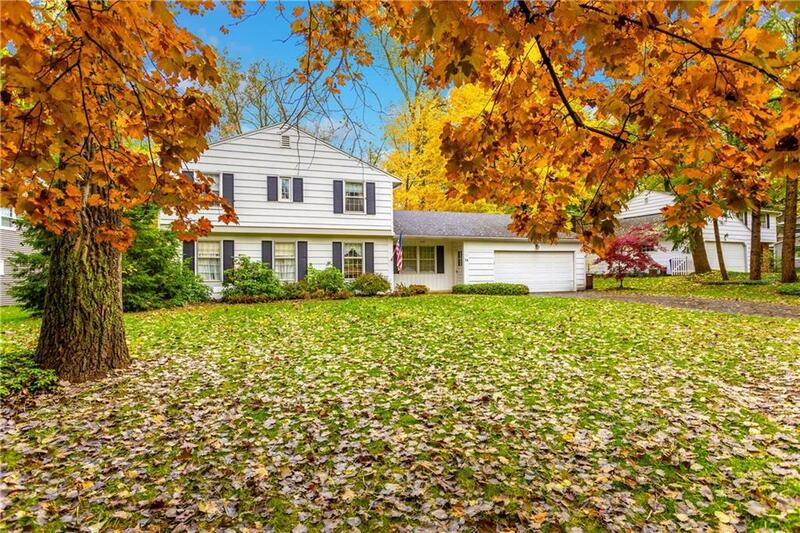 Stunning Fairport Colonial with 4 bedrooms and 2.5 bathrooms! This beautiful property features an open concept with an updated eat-in kitchen with beautiful cabinetry and an island ... Open to the formal dining room and family room which has a unique two way gas fireplace through to the spacious living room with the original hardwood floors! The first floor also features a gorgeous sunroom with cathedral ceilings and beautiful views of the private backyard, plus a powder room & laundry! The upstairs features 4 spacious bedrooms and 2 full bathrooms, including a master suite. All bedrooms have hardwood floors! The private backyard is perfect for enjoying nature and relaxing... no neighbor directly behind you! Close distance to the Village of Fairport and Bushnell's Basin! Great Property! Directions To Property: Southcross Trail Is Between Ayrault And Pittsford Palmyra Rd. Before 250. Nearest Cross Street: Pittsford Palmyra Rd.